Santiago de Compostela, Angels with Instruments of the Passion, Portico della Gloria, Heads of Sts. 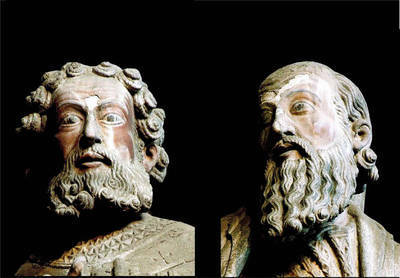 Peter and Paul, jamb figures by Master Matteo. Polychrome on stone.